VORDR / ASKEREGN split 7"
Damn, that Northwinds LP looks unreal. I haven't checked out too much of their stuff, but I will keep my eye out or it. Anywhere in NA that might have it? I assume you got it from SKR? And kudos on the Coven LP, I snagged a great copy of the Akarma reissue a while back. 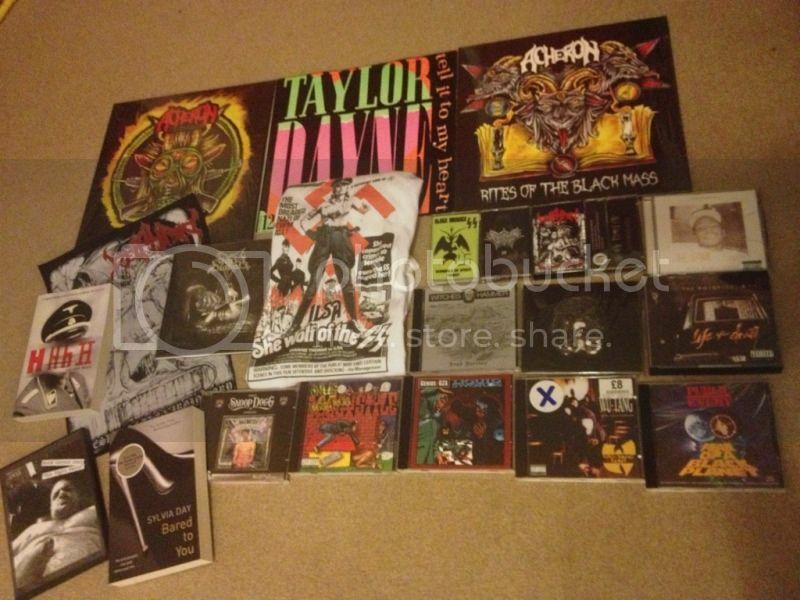 Most of this (except the 3 LPs in the lower picture and the Hoodie) is up for trade. Drop me a pm with your lists if you want any of these. Northwinds is good stuff. It's like Sabbath/Pentagram with elements of Goblin and Folk. I actually got it from a shop that I live 10 minutes from. They do mail orders. 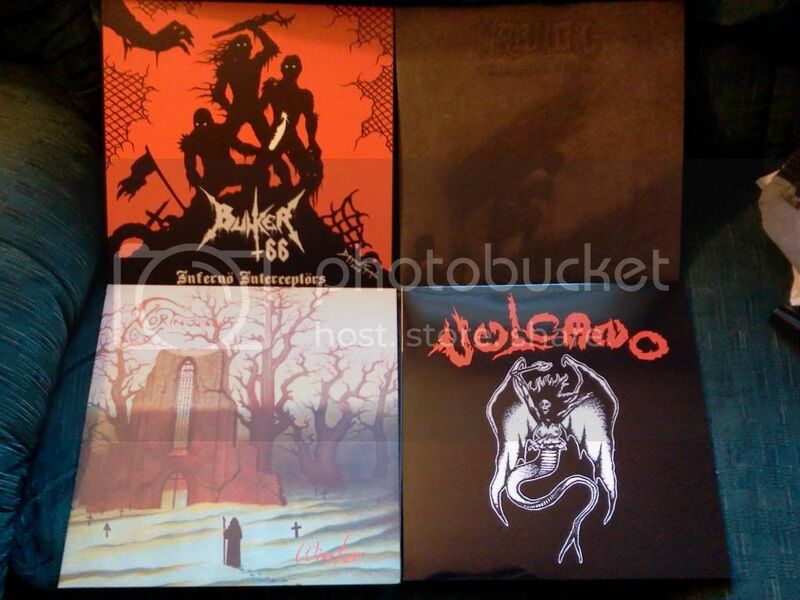 That's their metal LP inventory at the moment, not sure if they still have it. Doooomed.com also has it although its kind of expensive. When I ordered the Coven LP I assumed it was a new re-issue or something because it wasn't marked as used but when I got it, it was the Akarma version which I'm completely OK with. Humus' posts always crush my death metal soul. whats the dvd(?) in the bottom left corner?